Obviously, Millie Bobby Brown didn’t always have a shaved head. And, no, she didn’t have blonde curly E.T.-like hair, either, like the wig that she sported in “Stranger Things“. Hair chopping part 1! #strangerthings #chopchop #inthechairwith @sarahhindsgaul ???????????? It’s official: Millie Bobby Brown is my new hero. I’ve always wanted to shave my hair off, particularly when salons messed up my hair or when it’s incredibly hot and now I think I’ll be using Millie’s “it grows back anyway” as a mantra whenever I feel like chopping some hair off. 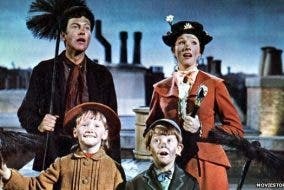 Classic Disney Movie “Mary Poppins” is Bringing Back the Magic to the Big Screen!